[i am a dekaphobic]: ArmyNavy Now Serves Filipino Burrito! ArmyNavy has always been one of my favorite pig-out places. Who doesn't love their burgers, soft tacos, burritos and other delectable Mexican meals? Their burrito is one of their signature dishes, a flour tortilla with Spanish rice, frijoles, onions, letture and cilantro. From the Steak Burrito to Vegetable Burrito to the Breakfast Burrito, I just can't stop myself from eating one. ArmyNavy Burger + Burrito has recently introduced menu items that is more familiar with our taste buds called the PI (Philippine Island) Burrito line. The first burrito released from the line is the Adobo Flakes (Php 175), made from chicken adobo flakes, scrambled eggs and Spanish rice. It is the savory and tender version of what I consider our national dish, in a burrito. I love the salty, sour and garlicky flavors this new burrito has. 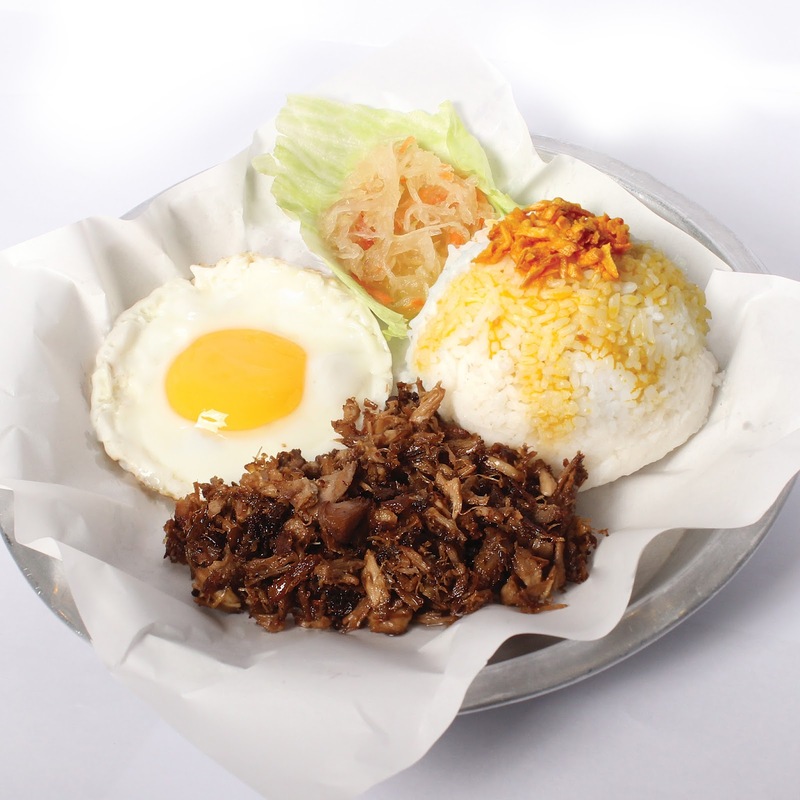 Two other PI Burrito flavors will be coming soon, the Sisig, a Kapampangan favorite and Tocino, a Filipino breakfast staple. Other additions to the menu are the Adobo Flakes (Php 165), a new breakfast item with savory chicken adobo flakes, garlic rice, egg and atchara, and a new dessert item, the Churros (Php 85), served with chocolate or caramel dip (Php 30 for extra dip). Both dishes are now available in all Luzon stores. Thanks to ArmyNavy and Buensalido PR for having us.